Your AUDI have a AMI. New AUDI have AMI，Please use our cable connects your IPOD IPHONE IPAD to AUDI auto and sort AMI action in MMI system,Audi auto's audio will play music。At MMI system,You can handle IPOD IPHONE IPAD and sort your music. AUDI TT、AUDI R8,More AUDI auto can sort to place a AMI. 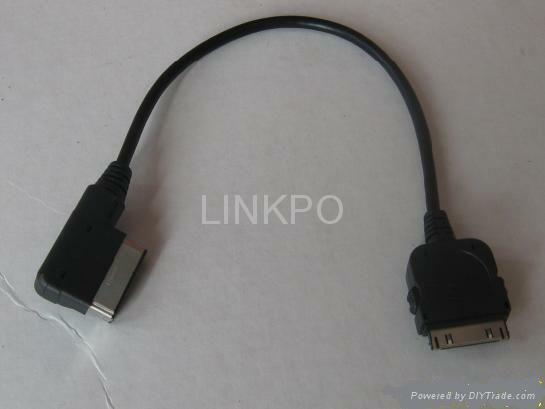 Before handling,Please know Audi Music Interface,Audi Music Interface，Named AMI.It will instead of CD player.Use our AMI cable to connect IPOD IPHONE IPAD,USB KEY,SD or handle phone,MP3,MP4.